Fire, smoke, water, mold and wind are examples of the kinds of damage that can bring a business to a standstill. In many cases, it will require a timely response and the expertise of a qualified commercial contents restoration company to return a business facility to its pre-loss condition. Our focus is not only on restoring your building’s structure, but it’s contents – electronics, office furniture, supplies, and more – as well. If you own a company in Harrisburg, PA, Carlisle, PA or elsewhere in the South Central PA region, you can count on the professionals at Tuckey Restoration, Inc. to be there in your time of need. We’re part of the Tuckey family of companies that has been providing quality commercial and residential contracting services in the area since 1968. Contents Pack-Out and Storage: In many situations, it becomes necessary to remove items from the premises after a disaster. Our contents pack-out and storage service entails the careful packing and loading of your property (computer equipment, office furniture, supplies, machinery, etc.) and transporting them to an off-site location for secure storage. We’ll professionally inventory every item to ensure accurate documentation. 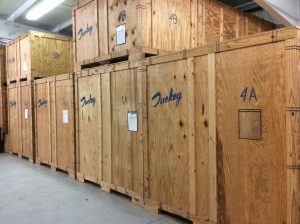 We’ll then return the items to your facility when the restoration/reconstruction work is complete. Cleaning: Rain, smoke and wind resulting from a disaster and its aftermath can take a toll on your building’s contents. We’ll utilize the latest cleaning equipment and technologies to remove the residual effects of smoke and water damage — and the unpleasant odors that often accompany them. We can thoroughly clean fabric-related items such as furniture, carpeting and curtains to restore them to their pre-event condition. 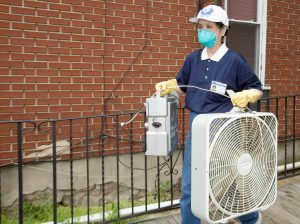 We can also institute appropriate mold remediation steps to combat the growth of mold that often follows water damage. Though every situation is unique and not every piece of property can be effectively restored, many customers are pleasantly surprised at the results that our professional contents cleaning division delivers. Our membership in Disaster Kleen-Up International gives you access to a comprehensive suite of prompt, reliable 24/7/365 commercial contents restoration services. By signing up for DKI’s Code Red Emergency Response Program, you’ll work with a dedicated account manager who will help you plan for emergencies before they occur and then assist you through the entire loss recovery process. Learn more about how the commercial contents restoration services from Tuckey Restoration can help return your business to its pre-disaster condition and minimize costly downtime. Contact us for more information today. 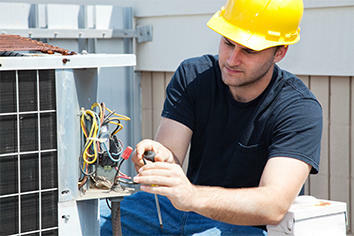 We proudly serve business owners in Harrisburg, PA, Carlisle, PA and across South Central PA.